From Givenchy to everyday jeans, celebrities are known to rock a whole spectrum of trends, styles, and accessories. Braces are no exception! Some of the biggest stars have had orthodontic work that made their smiles even more glamorous. 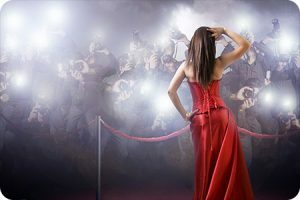 Our Schnecksville PA orthodontist gives them a shout out and reminds us that even braces can be a red-carpet accessory. At the 2013 Grammy Awards, Faith Hill flashed her braces for the cameras, providing a glimpse into the orthodontic work it often takes for a “perfect” smile. At 45, Hill explained she had had braces prior in her childhood, but after going without a retainer for years, she needed to reapply braces for some adjustments. Our Schnecksville orthodontist affirms that teeth indeed continue to move as you age. Even if you had braces as a child or teen, staying committed to your removable retainer or requesting a permanent one will help ensure your smile stays properly aligned. Not only exclusive to famous smiles, braces have also been sported by royals William and Harry. Both princes wore braces for several years, and as they got older they also adjusted treatments using more discreet options as well. Both are examples that every smile is different and may take longer or shorter periods of times to reach optimal results. Still, no matter the length, the investment is one worth making for a lifetime of confident smiles—regardless of whether the paparazzi is asking for them. In hopes of a straight smile for her wedding day, Katherine Heigl opted for Invisalign. Seeking to adjust one pesky “wonky tooth,” she found an orthodontic treatment that best fit her needs. Heigl describes Invisalign as “Netflix for your teeth,” as the trays can be easily swapped every two weeks for an impression closer to your ideal smile. Interviewers often commented to Heigl that they did not notice her aligner trays, and she has praised Invisalign’s convenience and ease throughout her treatment. Our Schnecksville PA orthodontist encourages you to schedule a consultation if you would like to find out if you qualify for Invisalign, as well. The information provided in this article is not meant to be medical advice and is for educational purposes only. If you would like to learn more about this and other topics related to orthodontics, feel free to contact Spark Orthodontics, with a convenient orthodontic office location near Schnecksville PA, by clicking here or by calling 610.865.2777.